My eyes recently fell upon this quote. The image to instantly pop into my mind’s eye was of my Crush Puppy, GCH Boulder’s N Fusion’s Heartbreaker CGC (almost an AKC Master Hunter with 4 MH passes to date). 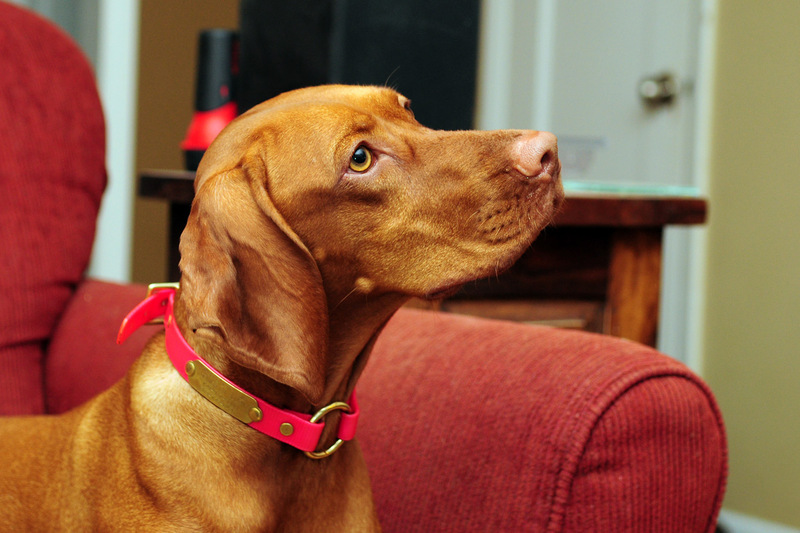 She’s the most affectionate, human-obsessed Vizsla I’ve shared our home with. There are positives and negatives that come with a dog like this. Back to Crush. 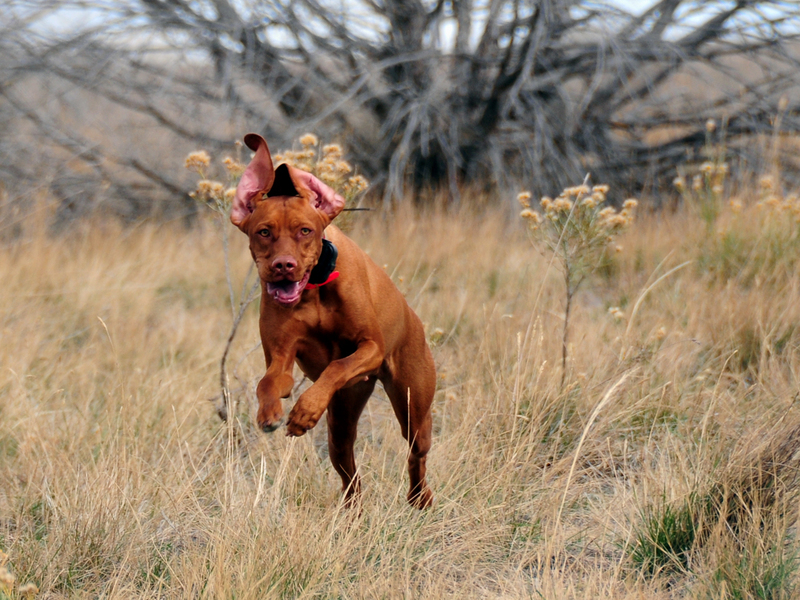 Is she my “ideal” Vizsla? No. She isn’t (but, she would be the ideal to A LOT of other folks). :-) Mind you, there are *MANY* exceptional things about her. Her qualities FAR outweigh the less-desirables. I love her to bits and with much honesty as her co-breeder, I must look to how we hope to improve upon her as well as recognizing her strengths. In addition to her absolute addiction to humans, she does have many of the qualities I listed above. It’s my job to understand the ones she’s weaker in and *adjust* my expectations as well as my training and handling of her. Just as the title of this post states, it’s **MY JOB** to bring out the best in her. I know how much she loves hunting. I know how strong her desire for birds is–it’s very powerful. I know she has a very good nose and a natural retrieve. The challenge is how her overwhelming worry about making mistakes could complicate her ability to learn. She’s softer in temperament than I care for. I would prefer a greater ability to “bounce back”, recover from corrections/training mistakes. 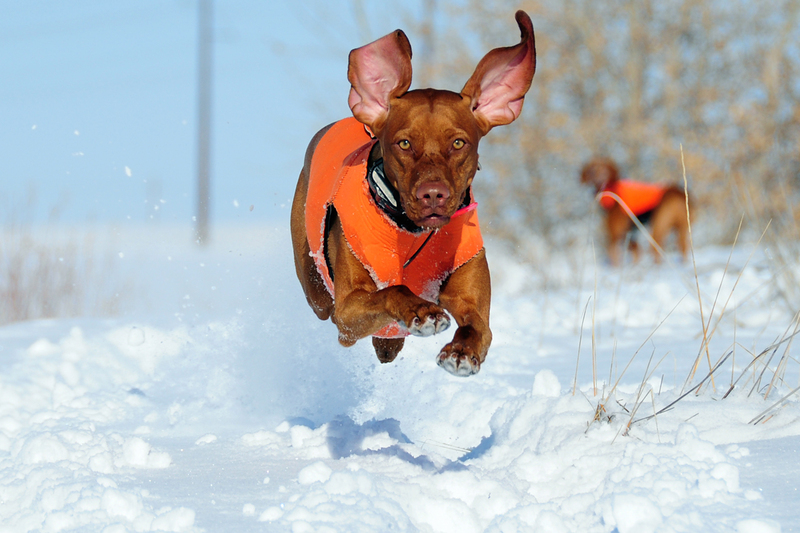 Some who have much experience in training Vizslas as well as other pointing breeds would say her worrying/softness is actually quite typical of the breed in general. These critical pieces can be the differences between a very successful competitor and a “washout”. Crush is teaching me “one size” does not fit all. I look back through our photos of her these past 3.5 years (from the time she came home at 8 weeks) and see a happy-go-lucky flower-child wanting to chase tweety birds and play with sticks. I have to laugh at myself because back when I took all of those photos I was looking for determination, intensity, focus, crazy-out-of-control-high-drive. She’s challenged me to reevaluate the training programs I implemented years ago and the level/accuracy of pressure we apply. Because she isn’t as forgiving, she’s helped me hone in on consistency and to balance all training with calm, meaningful praise. She does not require the repetition most of the others did. She’s also reinforcing our rule to be *patient*. To allow each individual dog to mature on their *own schedules*. This is one the most difficult things for performance homes–to accept a dog needs time and back off. Sometimes the “backing off” must happen in a major way–the industry often refers to this a “putting the dog away”, “letting him grow up.” Other times the backing off is in little but meaningful ways. as it applies to my Crush Puppy? I see a remarkable little bird dog within her — and a competitor — and I’ll carve, shape, mold until I give her the ability to realize her genetics. If I get it right, I’ll set her free to a lifetime of playing in the field with the passion of a true bird dog. The frolicking child – 1.5 year old Crush playing with a retrieving dummy. 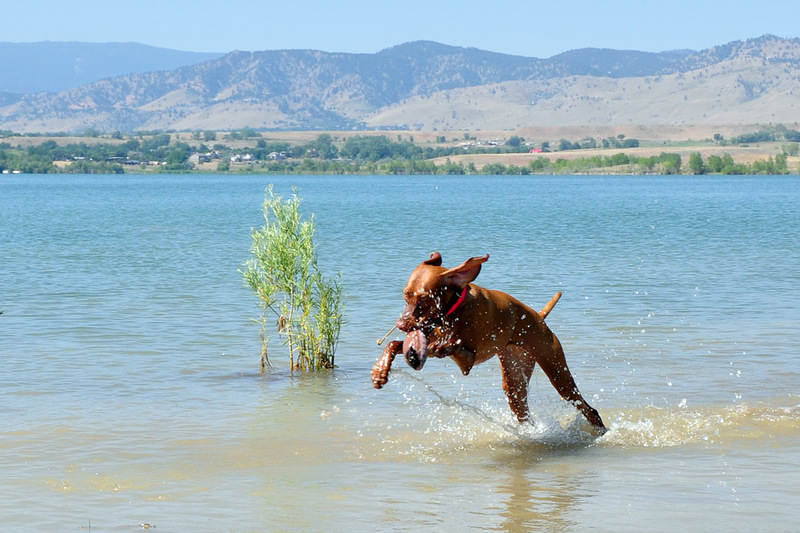 ← Announcing Boulder’s N Fusion’s Vizslas’ Newest Conformation (Show) Champion!